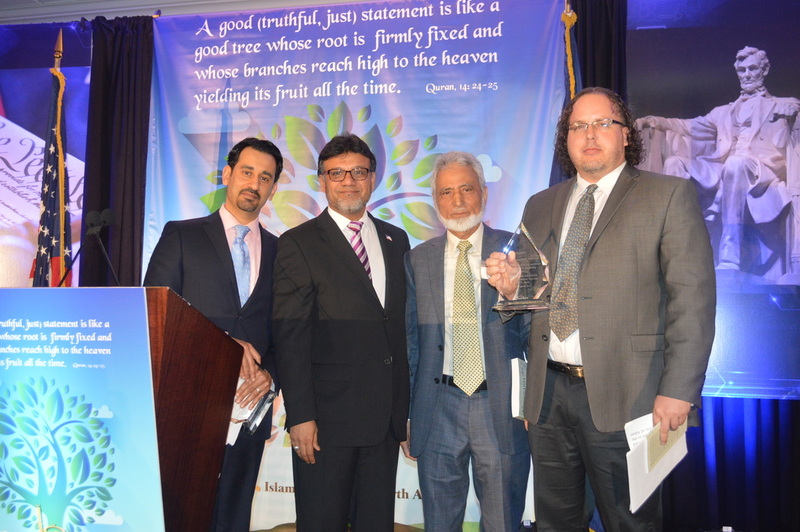 SHAFAQNA – Dr. John Andrew Morrow, the world-renowned academic and international peace activist, was recently awarded an Interfaith Service Award by the Islamic Society of North America in recognition of his outstanding contributions to interfaith dialogue and initiatives. The ceremony, which took place in Washington, DC, on Friday April 15th, equally honored Dr. Jim Winkler, the President and General Secretary of the National Council of Churches. Morrow, a full professor of foreign languages and a senior scholar of Islam, rose to international prominence after the publication of The Covenants of the Prophet Muhammad with the Christians of the World in 2013 and Six Covenants of the Prophet Muhammad with the Christians of His Time in 2016. As a result of his game-changing research, Morrow brought to light many of the treaties—some largely forgotten, some untranslated, others entirely new—that the Prophet Muhammad concluded with over a dozen Jewish, Christian, and Zoroastrian communities. These newly-revealed covenants prove that the Prophet Muhammad was committed to creating a tolerant, inclusive, and pluralistic state, in which the rights of all citizens were protected. As legions of scholars have confirmed, the Covenants of the Prophet are completely consistent with the Covenant of Medina, the first political constitution, which was produced by the Messenger of God after he established a government in the year 622 CE. These Muhammadan Covenants, unknown to many contemporary Muslims, inspired Charles Upton to create the Covenants Initiative, an international movement of Muslims devoted to defending persecuted religious minorities. The Initiative was first directed to Christians, (in line with The Covenants of the Prophet Muhammad with the Christians of the World), but was later expanded to include Jews, Shiites, Sufis, traditional Sunnis, and Yezidis. Upon the request of Christian leaders, the Covenants Initiative produced the Genocide Initiative, a political campaign aimed at accusing ISIS of genocide, war crimes, and crimes against humanity. Working in conjunction with a large number of partners, the Genocide Initiative was instrumental in convincing the US Government to pass the Fortenberry Resolution, in March of 2016, decrying genocide against Christians and other religious minorities in Iraq and Syria. 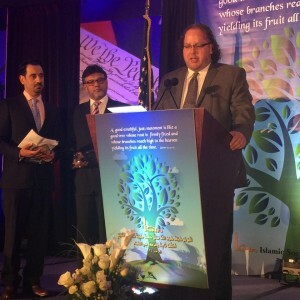 According to Dr. Sayyid Syeed, the National Director for the Office for Interfaith & Community Alliances for the Islamic Society of North America (ISNA), the Covenants of the Prophet Muhammad helped inspire the Marrakesh Declaration. Issued in January 2016, and signed by more than 250 Muslim religious leaders, heads of states, and scholars, the Marrakesh Declaration reiterated the rights of religious minorities in predominantly Muslim countries. Since its publication in 2013, over 350 articles have been written about The Covenants of the Prophet Muhammad with the Christians of the World. The work is also being used by many groups to counter radicalization. He concluded his comments by thanking everyone at ISNA for supporting his scholarship.